WASHINGTON — Not so fast, defense industry. A KC-Y competition could still be on the table. Air Mobility Command head Gen. Carlton Everhart, had floated the idea of moving straight from the KC-46 program into the acquisition of a more technologically advanced KC-Z — a plan that would involve skipping a KC-Y competition and perhaps buying an upgraded version of the KC-46 to "bridge" the gap until KC-Z procurement can begin. But during a Nov. 22 interview with Defense News, he acknowledged that the Air Force could move forward with a KC-Y competition, depending on the results of several ongoing studies. The Air Force initially planned on making three buys of aerial refueling tankers to replace its aging fleet: a 179-aircraft procurement of the KC-X, which later became the KC-46A, followed by KC-Y and KC-Z. Should the Air Force decide to skip a KC-Y competition and purchase a modified version of the KC-46 instead, it would be a huge victory for Boeing, which fought a bloody, difficult battle against Airbus to land the KC-X contract and has been hit with cost overruns throughout the KC-46 program. "Could there be a KC-Y? Absolutely. Could there be a KC-Z? Absolutely." But Everhart added that, in his estimation, it wouldn't make sense from a cost or logistics standpoint to have "four or five" different airframes. Having "one or two" mainstays would be more palatable. "It's kind of analogous to having three cars when you've got a two-person family. Why would I do that?" he asked. He also suggested that he would be amenable to a larger buy of KC-46s that would include some upgraded aircraft, adding that such a plan "has some very favorable outcomes to it." 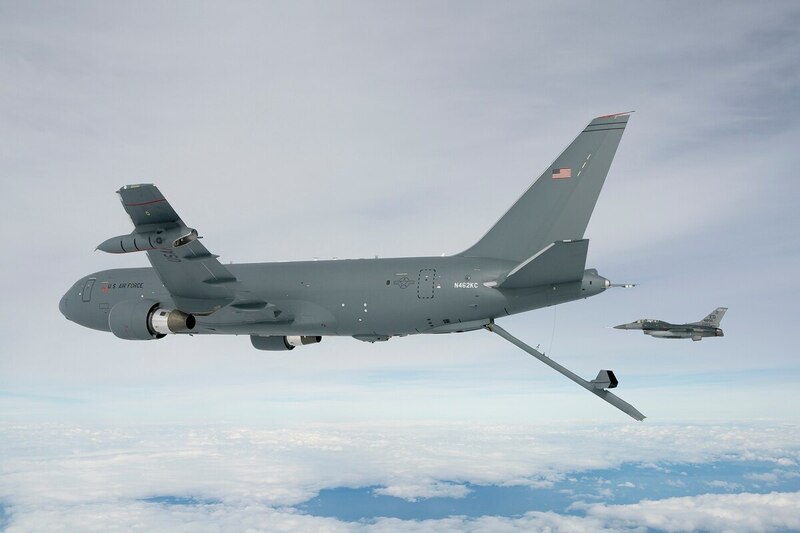 AMC is currently conducting a capability-based analysis that will help inform decisions on the makeup of the future aerial refueling tanker fleet — including whether to move forward with a KC-Y competition or an interim KC-46 buy, as well as what technologies will be most essential for next-generation platforms, he said. The study is targeted to end in midyear 2017, although it may be pushed back as a result of the new presidential administration's priorities, Everhart said. Brig. Gen. Randall Reed, AMC's deputy director of strategic plans, requirements and programs, said the outcomes of the capabilities-based analysis could drive the service to additional studies or to focus its research and development dollars in certain areas. In short, it may not result in a final decision on whether to move forward with new programs. "It doesn't automatically end up in a march to create something, it just informs us on how we need to start planning, thinking, shaping and forming the joint force to make sure that eventually we end up with the joint force needs," he said in a Nov. 23 interview. Still, the Air Force recognizes that it has to move out promptly in order to field a KC-Z by the mid 2030s — the time period Everhart has said he would like to set as a target. "Some decisions need to be made pretty soon," Reed acknowledged. "We are prioritizing. We are looking at the most pressing needs. … We are seeing what the industry has to offer." So what does industry have to offer? During the Air Force Association conference in September, Everhart noted his interest in incorporating autonomy, stealth and flying wing designs for a future KC-Z, which the Air Force would begin buying around 2035. Asked what kinds of technologies should be integrated onto a modified KC-46 or KC-Y, Everhart said he would like to see the same kinds of capabilities that would eventually flow into a KC-Z: anything that can allow the tanker to move into contested areas and improve its survivability. "How do I make a big airplane less visible on radar? How do I have a big airplane that can defend itself, that does that automatically?" he said. "Is it stealth? Is it through electronics? I don’t know those answers. "What I do know is that I’ve got a large platform — it’s a tube base with wings — that you can see from a long, long way away. And I need to be able to move the tankers forward to be able to support the fifth- and sixth-gen fighter. How do I do that?" AMC is working with Air Force Research Laboratory and the Defense Advanced Research Projects Agency, but it is also clamoring for a more collaborative relationship with industry. The command had its first industry day in July. "In the past, because of budgetary constraints and also because we just didn’t get out to industry as much as we should have, we were kind of — not shut off — but we didn’t take advantage," Everhart said. "It’s amazing what industry has out there and what they’re investing in." Things that stood out as particularly intriguing included DARPA’s work with waveforms and industry’s work with defense laser weapons, he said. "Because of the airframes we fly," he said, referring to the commercial-derivative planes that by and large make up the tanker and transport aircraft inventory, "we didn’t know the application could actually apply to our airframes. That’s what really opened our minds to what the future could hold." Hovering behind the Air Force’s decision on how to procure its future aerial refueling fleet is the reality of an aging KC-135 force. The service projects a requirement of about 479 tankers to meet combatant command demands around the globe. While the KC-46 buy will allow the Air Force to phase out about 179 of its oldest tankers, it will have to eventually replace about 300 KC-135s and KC-10s. Depending on the outcomes of Air Force assessments and fiscal realities, the service could be flying the KC-135 for roughly a century, Everhart said. "Right now the KC-135 is 60 years old," he explained. "By the time we think about replacing the entire fleet of KC-135, it’s going to be almost 100 years old. … The pilot to fly the last KC-135 to the boneyard hasn’t even been born yet." While Everhart is satisfied with existing plans to keep the KC-135 airframe and cockpit viable, he said he worries about the growing number and cost of obsolescent parts. Adaptive manufacturing, colloquially known as 3-D printing, is one potential solution that could keep the service from going to the boneyard and harvesting components from mothballed planes. "Air Force Materiel Command is looking at that right now, and our logistics centers are looking at that right now," he said. "It’s going to be a while to get us to that point where we can use them routinely. Why? It’s because in the aviation world we have very, very strict standards to make sure that our aircraft are safe." Parts made from 3-D printers that meet military aviation quality standards could be available from five to 10 years from now, and the service research labs are working to speed that timeline up, he said. But currently, no parts on the KC-135 or KC-10, even nonstructural ones, are made via additive manufacturing.